are carefully created to deliver a unique travel experience and personalized adventure. Check out our suggested Egypt Tours. Let us customize any tour just for you. 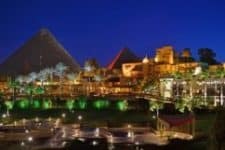 Our Egypt luxury tour packages include your Egyptian entry visa, sumptuous meals, luxury accommodation, internal flights and private transfers, airport assistance, private qualified tour guides, private drivers, entrance and park fees as specified in the itineraries, and so many additional features. All Osiris tours are guided by expert Egyptologists with degrees in Ancient Egyptian History, and since our tours are private, you and your traveling companions have not only the drivers but the talented and passionate guides all to yourselves. We will tailor your journey through our wonderful country to your individual style, schedule, and budget, and you can choose from one of our specific itineraries or plan your own tour step by perfect step. Is Egypt Safe for Americans to Travel to in 2019? Safety is of paramount concern to us all, whether we are at home or exploring the four corners of the world. Hence, it is natural for travelers to enquire about safety issues when they plan to visit somewhere new. If you arrive in Egypt via wonderful Alexandria, don’t limit yourself to a stay in that beautiful Mediterranean city. 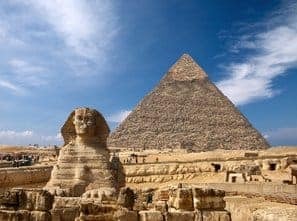 Make use of our fleet of luxury private vehicles and skilled guides and take a comfortable pyramids day tour to Cairo, and explore the world’s most iconic ancient monuments, the Great Pyramids of Giza, as part of our best selling Egypt tours. Leaving the serenity and beauty of Egypt’s Red Sea resorts is difficult, but if you want to step back in time for a day then take our fabulous luxury day tour from Safaga to Luxor in one of our comfortable, air-conditioned private vehicles, and visit the legendary Valleys of the Kings and Queens before you stand in awe at the spectacular Temples of Karnak and Luxor as part of our popular Egypt tour packages. Explore iconic monuments and immerse yourself in the ancient myths and mysteries of Cairo and Giza in a private guided tour. While visiting the area’s world famous highlights, relax in luxury at the finest hotel with a view of the pyramids while enjoying the wonderful native cuisine. Even if your stay in beautiful Egypt is short, this tour delivers a history packed punch. Venture to Egypt and unlock the secrets of ancient Egyptian history and enigmatic monuments with our private custom tour of Cairo & Luxor’s famous highlights in one of our best-selling Egypt tour packages. The tour features elegant & exotic hotels in prime locations, tantalizing traditional cuisine, and all internal flights, along with many additional delights. Discover ancient Egypt’s rich heritage with this colorful, exotic tour. Featuring a majestic camel ride around the iconic Pyramids, a 3-night luxury Nile River cruise from Aswan to Luxor, traditional Egyptian dining experiences, private guided tours, magnificent hotels, all in-country travel & a lot more, on one of our favorite Egypt tours. Learn about ancient Egyptian history and the country’s inspiring monuments with this most magical of Egypt customized tours. 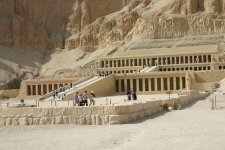 Our highlights package comprises guided tours of the most memorable locations in Egypt, including the mystical temples of Edfu and Komombo, a luxurious 3-night Nile River cruise between Aswan and the wonders of Luxor, and relaxing stays in stylish hotels are just a sample of what you’ll experience in this wonderful package. This most unique of Egypt custom tours introduces visitors to the legendary Gods and Goddesses of ancient Egypt, such as Gods Amun Ra, Horus and Anubis, and the Goddesses Mut and Hathor. This private luxury tour features a 3- night luxury Nile River cruise from Aswan to Luxor, exceptional Egyptian dining, all required internal travel, expertly guided access to the monuments and plenty more besides for the most memorable of Egypt luxury tours. Get captivated by the unique history and otherworldly monuments of ancient Egypt while traveling on this private guided tour. This special itinerary features a 4-night luxury Nile River cruise between Luxor and Aswan, and includes custom and private tours to the iconic Pyramids, the imposing Abu Simbel temples, traditional Egyptian cuisine and all internal flights. Feel like a king on one of our best-selling Egypt private tours. Delve into the secrets of the Great Pyramids and absorb millennia of ancient history during one of our fantastic Egypt customized tours. This stunning package includes four nights on the mighty Nile as you cruise in luxury between Luxor and Aswan, private guided tours of the pyramids, a visit to the mysterious temples of Abu Simbel, and a step back in time around Old Cairo will be just some of the memorable experiences of our wonderful signature package. Don’t miss the unique experience of discovery during one of our best-selling Egypt private guided tours. Featuring a 3-night luxury Nile River cruise between Luxor and Aswan, an escape to the peaceful beauty of the Red Sea and Sharm El Sheikh, the rich history of Cleopatra’s Alexandria, private guided tours of the Pyramids, traditional Egyptian cuisine, and plenty more besides. At Osiris, we’re confident our company provides the most complete and very best Egypt tours on the market. We deliver a unique opportunity to immerse yourself in ancient Egyptian history and enjoy customized experiential tours of our magnificent, mythical monuments. Follow in the legendary footsteps of Lawrence of Arabia to explore the Great Pyramids on a romantic sunset camel ride, and marvel at the Egyptian Museum of Antiquities on our private, expertly guided tour. Savor the splendor of our Egypt trips accompanied by your very own qualified Egyptologist and private driver. This very special tour includes the best of the best hotels in Egypt such as Mena House hotel by the Great Pyramids with premier Pyramids view room, Old Winter Palace Luxor, and the Legend Old Cataract hotel in Aswan. Discover the golden heritage of Egypt and Jordan during this once-in-a-lifetime luxury journey. Our Jordan and Egypt custom tours package include a private guided tour of the unforgettable Pyramids, a 4-night luxury Nile River cruise from Luxor to incredible Aswan and a visit to Abu Simbel temples. You can unlock the mysteries of Petra, feel alive on the Dead Sea’s cleansing waters, and savor traditional Egyptian & Jordanian cuisines. With all your internal flights and private transfers included, you’re free to relax in the hands of our expert guides. Live like royalty on the Egyptian Nile River dream tour. The tour features a 7-night luxury cruise between Luxor and Aswan on a Cleopatra-esque Dahabeya, a small, traditional yacht that carries only 10-15 passengers. This is one of our most popular Egypt private guided tours, and provides visitors an unforgettable vacation down the passive, life-giving waters of the Nile. This luxury tour also includes visits to the temples of Abu Simbel and the majestic Pyramids, and with your entire private, in-country travel provided; your tour of Egypt will seem like a dream. If you are an American or a Canadian, you will need a passport that is valid for at least 6 months after the day you plan to return from Egypt. You must also provide proof that you intend to return or continue your travels elsewhere. You are responsible to ensure your passport is current and that your name on your passport matches all other travel documents we will issue. If you find that your name differs between any documents, please let us know right away. You will need a visa to travel to and inside Egypt. You can get one when you arrive at the Cairo airport. We can include visa fees and proceeds in your itinerary upon request. When you leave Egypt, you must show proof of entry via a stamp on your valid passport. If you don’t provide this stamp, officials may prevent you from leaving Egypt. It is a good idea to have insurance in case of a need to cancel your trip or any medical need while abroad. Most insurance policies also cover baggage loss/damage or problems completing the trip due to circumstances beyond your control. Get a policy that provides medical coverage to avoid large health care expenses in an emergency. We can help you find the right insurance policy for your trip with us. In general, for women traveling to Egypt, anything that is below the knee should be fine. Short sleeves should be fine as well, but nothing too short or too tiny. You do not need to cover your head in Egypt but do dress modestly. Wear pants or long skirts. In the summertime it is hot, so loose-fitting pants are going to be more comfortable than a pair of skinny jeans. It is also dusty and dirty, so white clothing will appear soiled far more quickly than clothing of other colors. Egypt’s power grid is set up for 220V AC. Some rural areas only have 110V AC. Sockets are either the “Type C” Europlug or the “Type E” and “Type F” Schuko plug. You’ll need to purchase an adapter for devices from North America. Outlets marked as 110V or “For Shavers Only” won’t work for devices not rated for 110V and may even damage them. Mobile phone roaming charges are different between carriers, so be sure to check on costs with your phone provider in each area you’ll travel to. The large cities such as Dahab, Luxor, Cairo, and Alexandria have many Internet cafes where you can pay to use the WiFi or wired network ports. Some small towns like Siwa have at least one Internet cafe. Hotel in-room or lobby WiFi can be expensive, so check the rates before connecting to their services. Osiris Tours will not have control over which hotels have Internet access, but we do have information on which establishments are likely to provide it. We can help you find contact information to get in touch with the properties directly and ask what they make available. Egypt is very dry in some places and very wet in others. Be prepared for a hot and dry climate. It can get cold in the northern regions if you happen to visit in the Winter. Most tourists visit during the cooler months from December to February. February to April as well as October to November is the best time of the year climate-wise to see the pyramids and Valley of the Kings. It can be very hot and dusty in April because of winds blowing in from the Sahara, so visiting sites can be a bit of a problem during that month. Updated weather forecasts can be obtained from Weather.com. We recommend that you bring about $100 US per person for each day’s expenses. Small bills are best to tip waiters, porters, and housekeeping. Tipping is at your discretion based on your satisfaction with the service you receive. The Egyptian currency is called the “Egyptian Pound” (guinay in Arabic). Notes come in denominations of 5pt, 10pt, 25pt, 50pt, E£1, E£5, E£10, E£20, E£50 and E£100. Coins come in denominations of 10pt, 20pt, 25pt, 50pt, and E£1. Some tour operators and hotels only accept US dollars or Euros. Get your Egyptian Pound currency from your own bank before leaving or from an Egyptian bank machine. Those methods are cheaper than in the airport currency exchange or in tourist areas. Visa and Mastercard are widely accepted, but your bank card may or may not be valid in-country. There are currently no vaccinations required to travel to Egypt. Make a list of all the medicines and medical items you need to bring with you on your trip, plus dosages of prescription drugs, details of prescription glasses and contacts, and any other medical necessities. Put spare eyewear and medications in checked and carry on bags in case some of your luggage gets lost in transit. There are non-prescription, over-the-counter medicines available in Egypt, but it is often difficult to get prescription medication or eyewear. Bring water purification devices or iodine tablets in case bottled water is not available. We can advise which locations will have potable vs. non-potable water. We strongly recommend bringing some type of over-the-counter diarrhea medication.